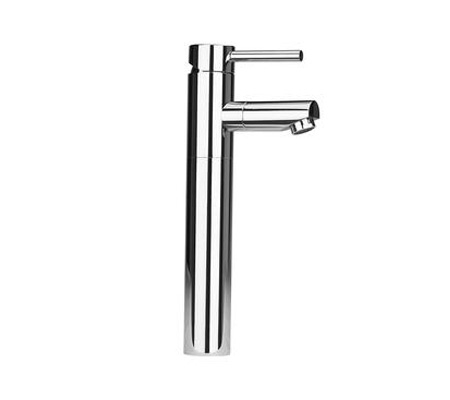 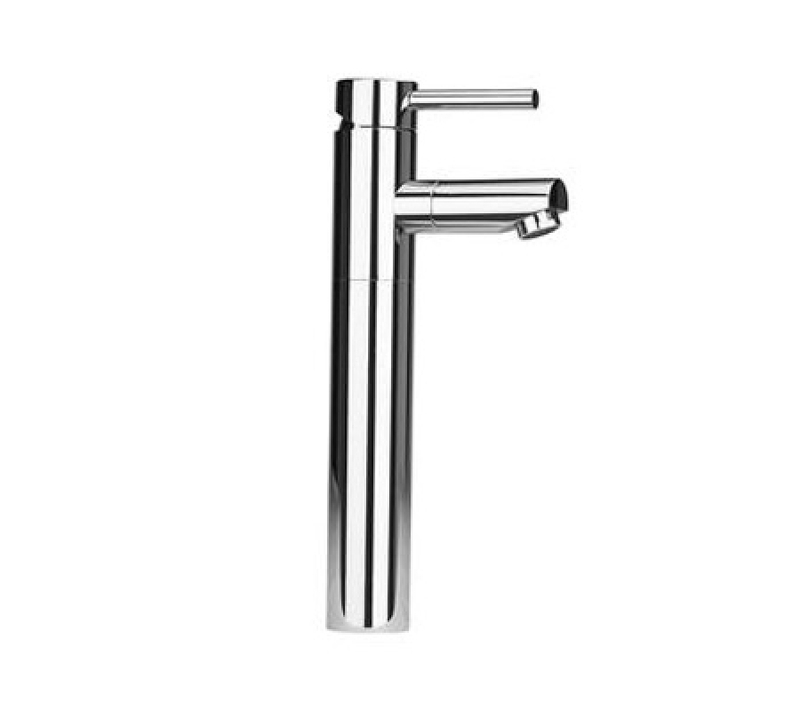 Glossy chrome provides a striking look for this vessel sink faucet. 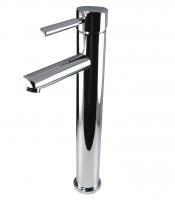 It would look extremely nice contrasted with shiny black granite, but would also provide clean lines to go with lighter stone. 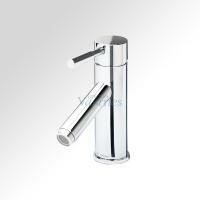 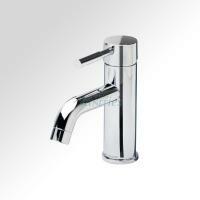 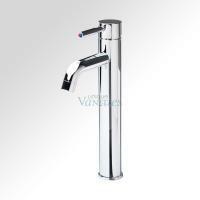 Single level controls water flow and temperature.